KJ Harrison proudly volunteered at the Red Door Shelter Food Bank on Friday, October 14th. During our time at the Shelter, our volunteers helped sort and distribute donated food items. KJ Harrison was pleased to have had the chance to volunteer with this wonderful organization which assists so many families every day. 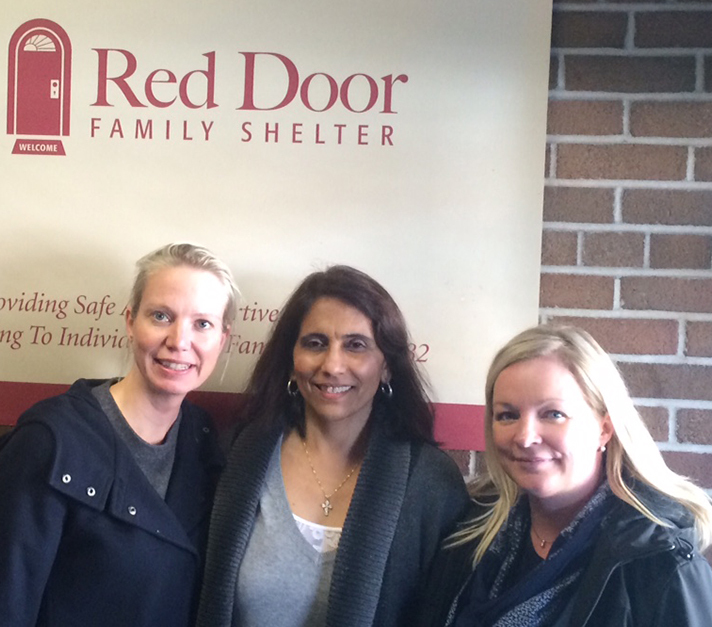 Since 1982, the Red Door has provided services for families and individuals who need safe and supportive emergency shelter. It has now grown to be one of the largest family shelters in the city, providing shelter and support to over 500 families every year. Their clients include women who are fleeing violence at home, families who are evicted, refugees, and young mothers who may have nowhere to go. Read more about Red Door here.